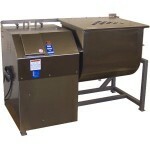 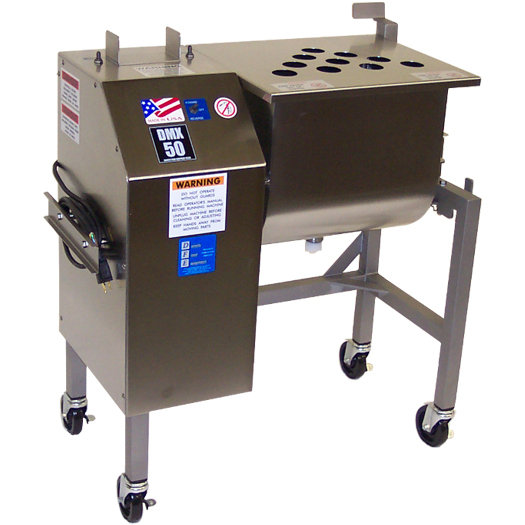 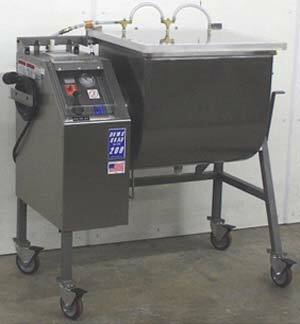 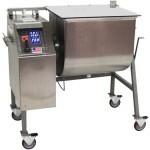 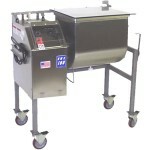 Daniels Food Equipment manufactures mixers for mixing meat, salads, potatoes and other food products. We use durable stainless steel construction. 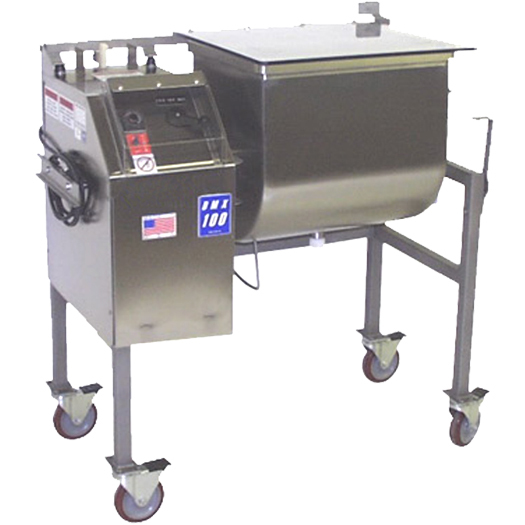 The QUAD mixer has two mixing paddles that rotate in opposite directions. 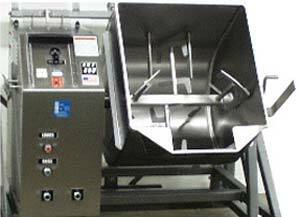 The DMX has one mixing paddle. 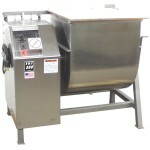 All mixers have forward and reverse mixing for a fast and thorough mix. 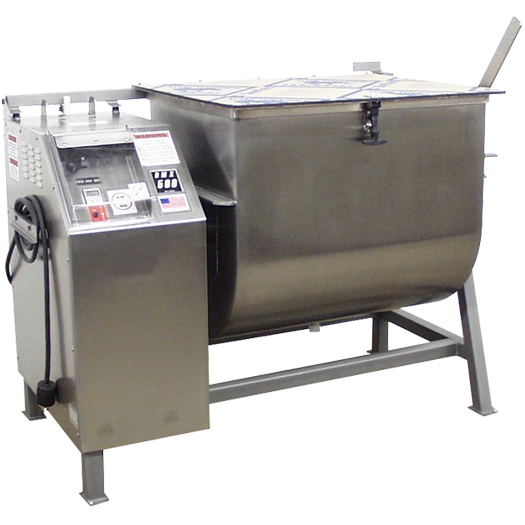 Many options are available such as a frame extension, variable speed, stainless steel lid, tube lid, funnel dump, mixer lift (see Lifts), and more. The HD series is a heavy duty mixer for extremely thick products. 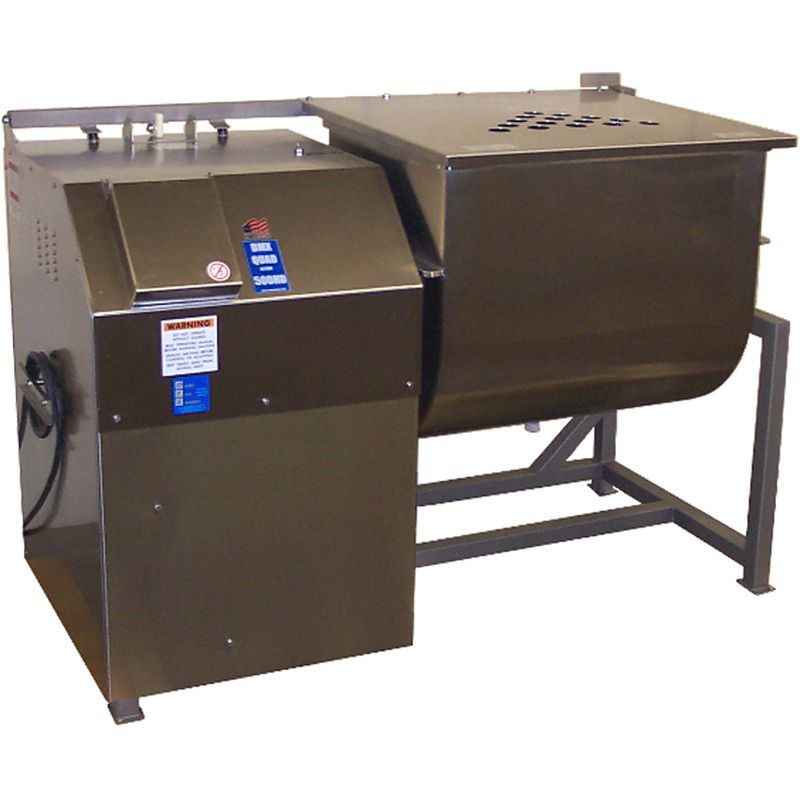 The Vacuum Mixer will mix better and faster. The Funnel Dump on your Mixer makes it easier to control the unloading of salads or other products.